The Deaf Barn: 6400 Watts of What Recession?? There are those who appreciate a good stereo, and there are those who appreciate destroying their hearing one sweet watt at a time. Todd Whitworth falls into both categories, but mostly the latter. 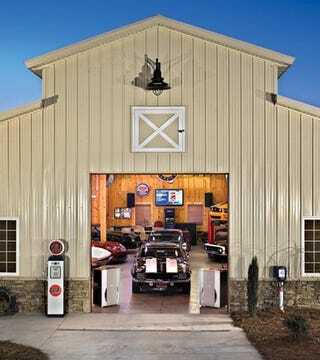 His barn/garage, filled with vintage sports cars like a 1969 Camaro and modern Aston Martin, is also home to over 6,000W of sound. You see, Whitworth likes to listen to his music for hours on end at volumes of 120dB, or louder than a "loud" rock concert, about 5dB away from pain and right in the range of hearing loss. I said, right in the range of hearing loss! !